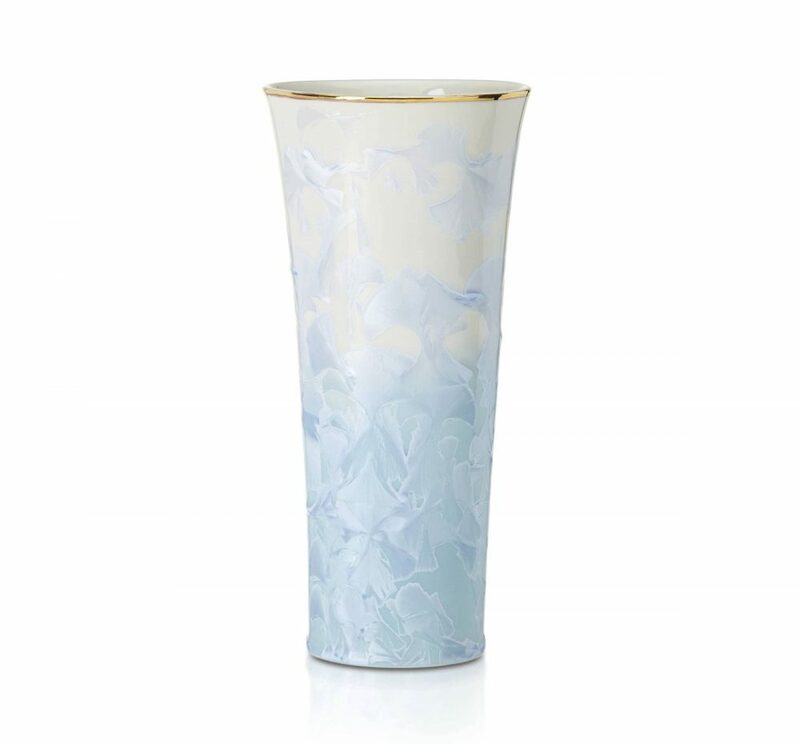 The Lenox Glacia Petite Porcelain Vase is 8 inches tall and features fine porcelain. 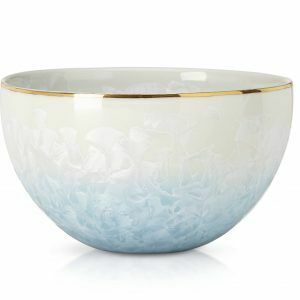 The glaze is a two-tone white and blue with a delicate overlay of crystalline like petals. The edge is painted with gold to add elegance to the artisanal porcelain vase. 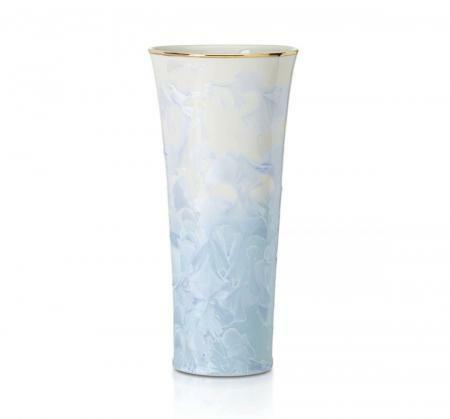 Glacia makes a great gift for those close to you or a decorative vase for your home decor. 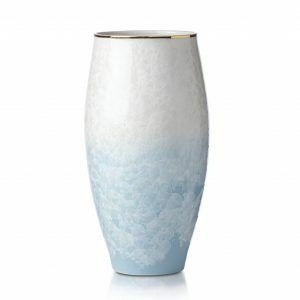 Glacia is also available in a large porcelain vase and a small porcelain bowl.